Join us for our monthly open house and the opening reception for 6 new exhibits! 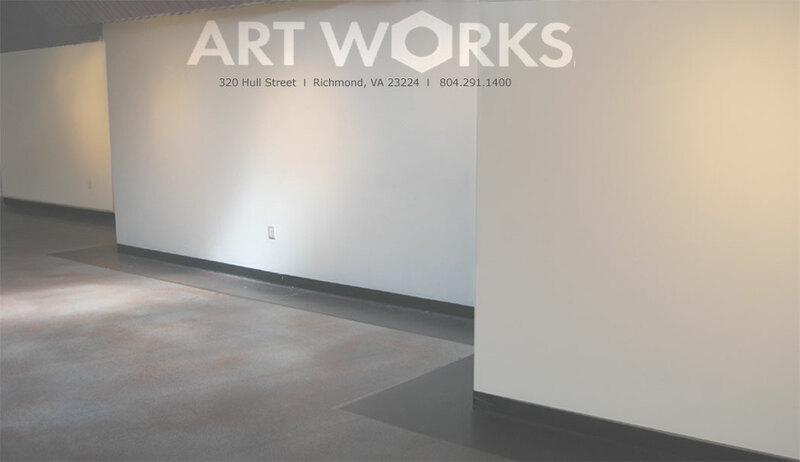 Tour our 75 working artist studios, enjoy refreshments, live music by Anthony Brazeau, dance performances by RVA Dance Collective, and free parking. Join us 6-9 PM. OK OK - Paintings by Kevin Sabo. Jane Sandelin Gallery. Experiencing Nature - photography by Mark Best, Centre Gallery East. People and Places - paintings by Robert Wynne, Centre Gallery West. Superman? - assemblages by Steve Applegate, Corner Gallery. Hope and Struggle - paintings by Crystal George, Skylight Gallery. MARCH ALL MEDIA SHOW Each month Art Works offers artists from all over to participate in a juried art show with cash prizes. The juror will be: Kevin Sabo. Click here for more on the juror. https://www.artbysabo.com/. Submissions are accepted from any artist and any medium. Call for Entries is on March 15th, 16th, 2019 at Art Works. Our monthly All-Media Show is an opportunity for any artist to submit up to 3 pieces of original artwork. There is no theme. Cash prizes are awarded to top entries. Accepted entries are exhibited at Art Works for the month. The Juror will be Matt Lively. Join us for our monthly open house and the opening reception for 6 new exhibits! Tour our 75 working artist studios, enjoy refreshments, live music by BJ Nagel, and free parking. Join us 6-9 PM. Contemplating the Rabbit Hole - Paintings by Janine Matthews. Jane Sandelin Gallery. Vibrant Floral International - paintings by Carmen Bendersky, Centre Gallery. The Connected Landscape - paintings by Sharon Denmark, Corner Gallery. VCU Animation Club - new media artwork by Virginia Commonwealth University students, Skylight Gallery. APRIL ALL MEDIA SHOW - Each month Art Works offers artists from all over to participate in a juried art show with cash prizes. The juror will be: Matt Lively. Submissions are accepted from any artist and any medium. Call for Entries is on April 25, 26th, 2019 at Art Works. May - December 2019: info coming soon!